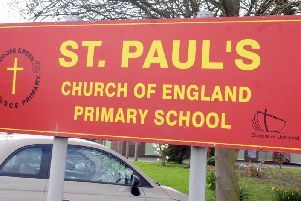 The borough’s education system is dealing with a funding shortfall of millions of pounds with almost every school affected, shock figures reveal. Data prepared by the School Cuts coalition suggests primary schools in the local authority area have annually lost more than £6.2m a year since 2015-16, with annual cuts to high school budgets of just over £5.1m. 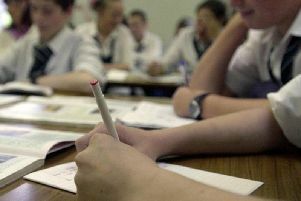 Pretty much every pupil in Wigan and Leigh has been affected, with shortfalls affecting every secondary school without exception and 98 per cent of the borough’s primaries. That translates to a fall in per pupil funding of £294 each in secondary schools and £243 in primaries between 2015-16 and 2018-19. Teaching unions have not held back in their criticism of the Government in the wake of the latest round of number crunching uncovering the cash crisis in local schools, painting a grim picture of the effect budget cuts are having on the ground. Wigan NEU joint secretary Max Atkins said: “This is an intolerable situation. Children and young people are being short-changed by a Government that believes their education can be run on a shoestring budget. “As a result of Government’s absolute refusal to accept the fact that a school funding crisis exists, school class sizes are increasing, teachers and support staff are being reduced, building repairs are being left undone, subjects are being dropped from the curriculum and teachers are having to pay out of their own pocket for items such as text books and glues sticks. The data shows that, while in absolute terms funding for schools has changed very little, when costs are taken into account a very different picture emerges. School income in Wigan has actually gone up slightly, with primaries receiving £109,432,560 in 2015-16 and £113,788,588 in 2018-19 and high schools getting £94,513,519 and £95,851,822. However, in real terms the trend looks very different and shows the amount of cash schools have to spend going relentlessly down. By that measure primaries in the borough had £116,056,730 to spend in 2015-16 compared to £113,788,558 in 2018-19, with secondaries’ pots available dropping from £100,234,686 to £95,851,822 in that time. Similarly, when costs are included income per pupil was £4,635 for primary pupils in 2015-16 and £4,393 in 2018-19, while spending per high school student went from £5,763 in 2015-16 to £5,468 in 2018-19. These were drops of £243 and £294 respectively. School funding is currently a hot topic after secondary school headteachers across the borough signed a strongly-worded open letter castigating ministers for refusing to meet to discuss cuts to budgets and accusing the Government of being in denial about the seriousness of it. There is also a strong political response with Wigan MP Lisa Nandy demanding changes to how education is being funded. The School Cuts coalition says its latest figures cover funding under Schools Block allocations, Pupil Premium allocations and money for 16-to-19-year-olds. It works out the impact on schools in real terms by taking into account costs such as staff pay rises and inflation.